It sounds like the ingredient list for the weirdest cake in the entire world when you think about it: Sunflower seed oil, sugar, Pepsi, milk, salt, citric acid and eggs. And also some dish soap for good measure. But no cake was made; instead, a Lada engine was murdered. 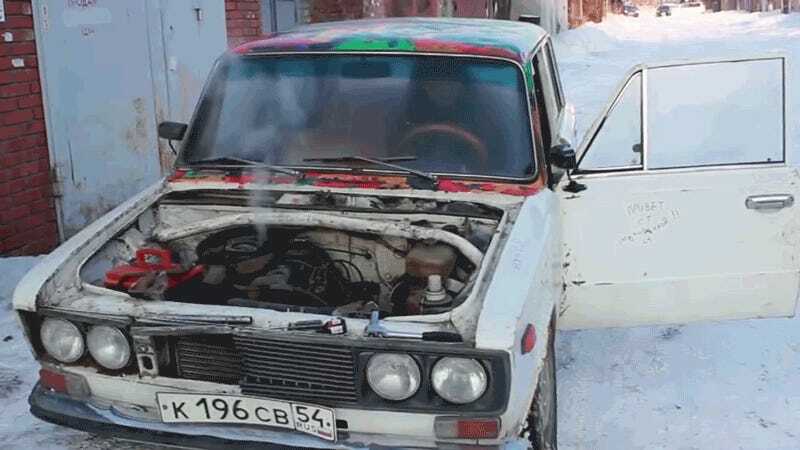 The guys at Garage 54 ENG (the same guys who tried doing burnouts on tires made of electrical tape, filled a car with concrete to kill a clutch and made studded ice tires with self-tapping screws and duct tape) tired to kill a Lada engine—this time by pouring all sorts of stuff into it. They started by draining all of the oil, not flushing the system and then replacing it with sunflower seed oil. The car ran perfectly fine despite that. Then, they took some sugar, tried to mix it with gasoline and discovered that sugar doesn’t really like dissolving in gasoline. They ran it through the engine anyway, revving it and running it for 15 minutes. The sugar didn’t really affect the motor, but the camshaft started making some noise because of the sunflower seed oil. The came the Pepsi and the milk, both dumped into the motor. Nothing happened. Then, they dumped in dish detergent—something that is specifically designed to break down oil. After they did that, a lot of smoke started coming from the tailpipe, along with a weird smell. But the motor still ran without a hiccup. Finally, in went the salt, citric acid and eggs. And the motor did not knock or seize up. I won’t give away what drastic measure the guys finally had to use to kill the engine, though. You’ll have to watch to find out. But damn! 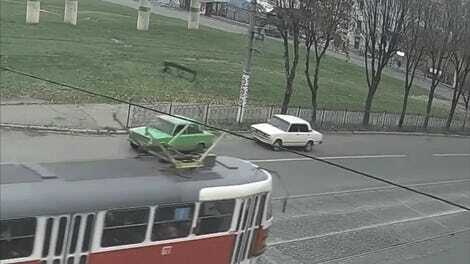 Those little Ladas are tough. I’m pretty sure if you spit on a modern car engine today, the whole thing just explodes.